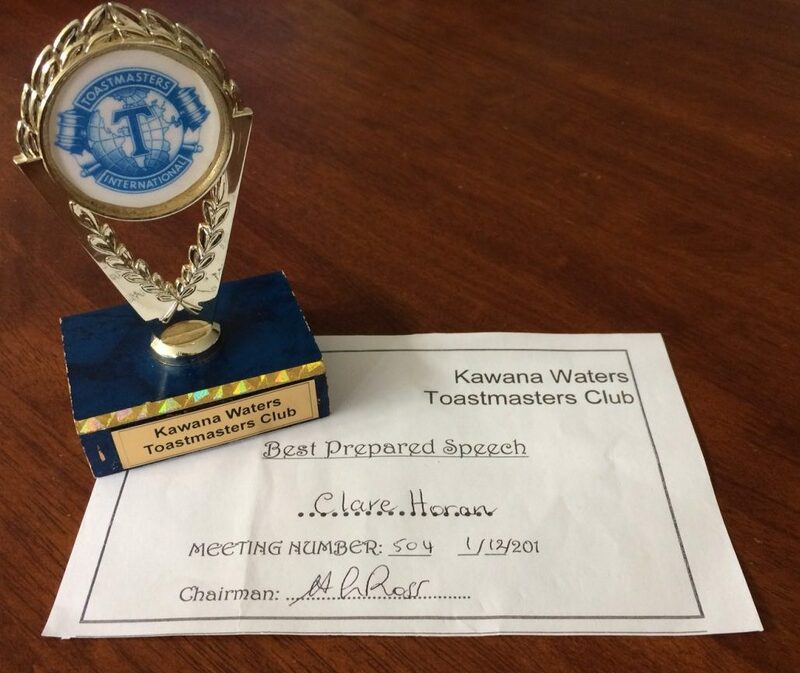 The following is another speech I wrote and delivered at my Toastmasters Club. Yes, writing speeches takes me away from writing blog posts, but I have a place for both and enjoy juggling the two. The project this speech was written for is Speaking After Dinner from the advanced manual The Entertaining Speaker and while reading I ask that you imagine you’ve just enjoyed a wonderful meal at my place. Ladies and gentlemen. With a room full of meat-eating wheat-consuming friends such as yourselves, it was a pleasure to prepare dinner this evening and I’m sure you will all agree that I make mean spaghetti. I admit it doesn’t hold a candle to authentic Italian Bolognese, but it’s a good old-fashioned Aussie spag bol, the perfect blend of various meats and vegetables, lovingly infused with an assortment of herbs and spices, then carefully blended with a little parmesan cheese and loads of al dente pasta. The perfect fuel for our bodies. Years ago I perfected my recipe and I’d proudly place a huge bowl in the middle of the table and we’d all laugh and enjoy this hearty meal together. All was right with the world until 1995 when our girls watched the movie Babe and henceforth refused to eat bacon. When I removed it from my ingredient list my husband complained, so I solved this problem by making two bowls of spaghetti. Standard with bacon and unleaded without, and we’d laugh and enjoy this hearty meal together. When our eldest daughter was diagnosed with coeliac disease and two bowls became three. Standard with bacon, unleaded without, and super unleaded made with rice noodles, and we’d laugh and eat a hearty meal together. Once again, all was right with the world until one fateful Friday night when we watched Chicken Run, and while I wiped away tears of laughed as Babs constantly proclaimed, “I don’t want to be a pie! I don’t like gravy”, I was soon wiping away tears of a different kind as our two youngest daughters decided to be vegetarians. Suddenly I had to reverse engineer the way I was making my sauce and add all the aromatics to the tomatoes first, simmering to develop the flavours, then halve the quantity and set this ‘vegetarian’ sauce aside while adding the other half to the mince, half the mince and only add the bacon to that which remained. Easy. Three bowls became four. Standard with bacon, unleaded without, super unleaded made with rice noodles, and premium unleaded which essentially amounted to pasta with spicy tomato sauce. But we all laughed and ate our meal together. Once again, all was right with the world, until one of our little vegetarians adopted a vegan lifestyle. Suddenly I had to re-engineer that sauce entirely, making a new E10 variety because I could neither sauté the mushrooms in butter nor toss through a handful of parmesan cheese. But this is what I came up with, a marvellous approach to satisfying everyone’s needs with the fuel they desired. In one pan, cook diced bacon and set this aside, wash this pan before adding the mince to brown. It’s ok to leave the mince in this pan, but in another pan, and using a different cooking utensil, sauté diced onion, capsicum and mushrooms in Nuttelex. Working quickly, add half the desired amount of herbs and spices and stir through. Add the other half of the aromatics to the pan containing the mince, stir through with the appropriate cooking utensil, and reduce the heat to simmer allowing the flavours to develop. Still working quickly, add chopped tomatoes or a large tin of vegan-friendly diced tomatoes to the pan that contains the sautéed veggies and, with the appropriate cooking utensil, stir this through. Allow this to simmer to develop the flavours and don’t burn the mince. Now it get’s tricky. Half the vegetable sauce must be added to the meat, the other half must be halved again, so that one portion can have a little parmesan cheese added for Miss Vegetarian, and the other portion remain cheese free for Miss Vegan. Half the meat sauce can have the bacon added for Mr Meat and Three Veg, but the other half must remain bacon free for Miss I Don’t Eat Bacon Anymore. Heaven help anyone who steps into my kitchen at this stage. Three quarters of the pasta can have a little parmesan cheese mixed through, the other serving can not, and at this point one serving of rice pasta has to be prepared for Miss Coeliac and I must not forget that Miss Vegan likes a little bean curd cheese on the side. I don’t mix them together anymore, and so with four sauces, three pastas, and two types of cheese, that’s nine bowls of food placed in the centre of the table for five people to construct their own spaghetti and eat a meal together. At this stage, I end up eating left overs, 50/50 wheat and rice pasta, with a spoon full each of standard, unleaded, super unleaded, premium unleaded, and sometimes the scrapings of E10. Not my idea of a hearty meal, and I’m not laughing any more. But perhaps I’m not laughing for reasons other than you might think. Miss Coeliac, who by the way is also Miss ‘I Don’t Eat Bacon Anymore’, was the first to leave home. Nine bowls became seven. Miss Vegetarian left next, and seven bowls became six. When Miss Vegan relocated to Melbourne, there was only one type of sauce and one type of pasta left. These days I mix the two together and Dean and I sit and laugh and while enjoying this hearty meal together, we ponder how it got so crazy making spaghetti for our girls and wishing with they still lived a little closer. All the same, thank you my meat-eating, wheat-consumers friends, providing you with fuel this evening was a breeze. Ask me later to tell you about what happened the night my lacto-ovo-vegetarian-soon-to-be-son-in-law came to dinner. I loved making spaghetti just right for everyone to enjoy dinner. I also loved writing this speech, and equally, I loved delivering it today. Today at the meeting I was awarded Best Prepared Speech (as voted by club members), and now have this gorgeous little trophy in my possession for the next two weeks. (At the next club meeting, the trophy is handed back and handed out again, to the next member voted to have presented the best prepared speech). Thanx Calen. 🙂 as mums we do what we have to do, don’t we? I believe so with all my heart, AND even after they leave the safety of our nest, we still continue to do what exactly we have to do – and then some.